Tesla will reveal its next vehicle, the mass-market, $35,000 Model 3, in March. The startup carmaker will only be showing us the sedan version, but last year CTO JB Straubel said the Model 3 will actually be a platform upon which a family of vehicles can be built. This means Tesla can easily add a compact crossover SUV to its lineup — or any of several other designs from a sports car to a pickup truck. This is what most automakers do: With the exception of very exotic brands building very expensive high-performance machines, they engineer their cars and trucks using common platforms, to make the development and manufacturing process more efficient and less costly. Up to this point, Tesla hasn't really had a mature vehicle platform. The original Roadster was derived from a Lotus design, and the Model S sedan and Model X SUV are going to be pushed in the direction of some shared-platform elements. But the Model 3 will be the start of Tesla's move into operating much more like a conventional automaker than it has in the past, as it strives to assemble 500,000 cars a year by 2020. To be clear, Tesla has always aimed for a multi-vehicle strategy, going back to the arrival of the Roadster. Even then, Tesla was outlining a three-vehicle plan, with the Model S (then codenamed "White Star") and the Model X to follow the hot little two-door that changed everyone's mind about what an electric car could be (not a glorified golf cart, not slow, not good for only about 50 miles of range). It was of course unclear whether Tesla would be able to execute on this strategy. In fact, the whole thing nearly came to a bad end when Tesla hit a wall in late 2008 and was only saved from bankruptcy at the 11th hour by a new funding round. The Model S and Model X were each delayed, but Tesla sold just over 50,000 vehicles last year, and while the stock price has been hammered since late 2015, it's still trading miles above its 2010 IPO price. The Model 3 platform, both the sedan and the crossover, is a natural extension of this overall game plan. But Tesla has a new challenge — scale. To go from a company building 50,000 cars a year to one building 500,000 annually will be immensely costly and immensely difficult. But it's where Tesla has to go if it wants to achieve Musk's world-changing objective: to accelerate the end of the fossil-fuel era. Musk is stressing his commitment to the plan by upping his stake in the company: Last week, he exercised and held 532,000 options, according to an SEC filing. The scale the company needs will come both from Tesla's strategy — develop as many vehicles as possible from shared platforms, to enable them to be sold at a price that's competitive with cheap, gas-powered cars — and the innate simplicity of electric cars. The Model X is a cool-looking piece of hardware, with its Falcon Wing doors and massive windshield, but underneath, it's effectively a rectangle with four wheels and one or two motors and a large battery. 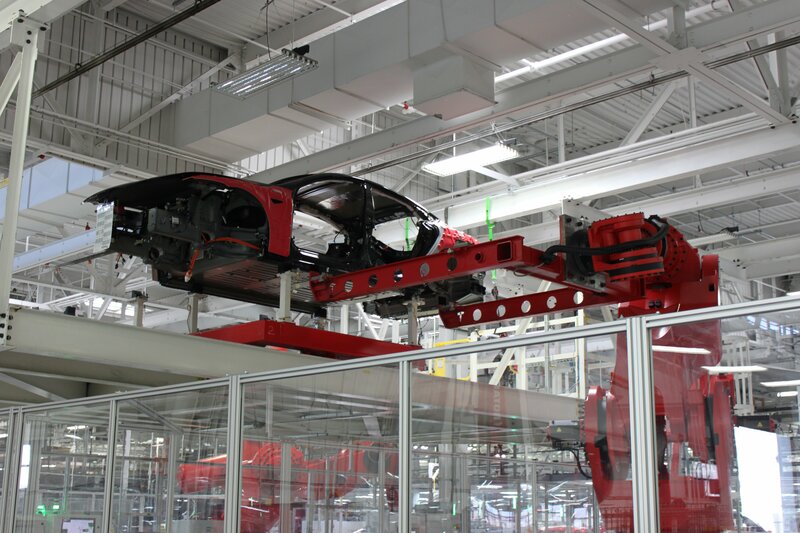 The Model 3 platform should be much easier to build than either the S or X. Actually, it has to be. 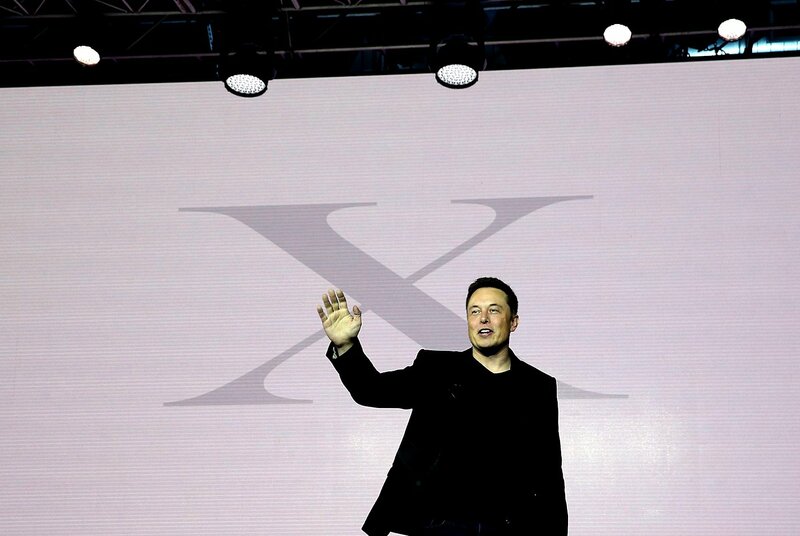 It's the vehicle family that will reverse Tesla's current identity, shifting the automaker from being a manufacturer of high-end luxury cars to a company that's aiming for what Henry Ford did over 100 years ago — when he brought the Model T to the world and created a revolution in personal mobility. This might seem crazy — why not just keep building and selling $100,000 cars to elite customers? — but Tesla ultimately doesn't want to play in the realms of luxury automakers, with their modest global market share. The template is Ford, General Motors, Toyota, Fiat Volkswagen: lots and lots of affordable cars, powered by electrons. Given that Tesla is currently small and not exactly as effective as a big global automaker at building millions of vehicles a year, it might seem like the company isn't really clear on what it should be doing to thrive. But that verdict loses sight of where Tesla is really at right now: at roughly the midpoint of its strategy. With the Model S and Model X on the road, the business stability is present to make the critical push to attack the mass market with the Model 3. The company has plenty of critics who think it will never realize Musk's grand plan, and they may be right. But the development of the Model 3, a car we're finally getting a look at in about a month, shows that Tesla is sticking to a strategy that it hasn't altered much at all.